While fulfilling our desire of shooting night sky over the famous and largest monolith, Ayers Rock or Uluru, my camera also caught another event not commonly seen in the perfectly captured shots of the Uluru – a bushfire that had broken out in a nearby area. The dry heat of the region often causes bushfire outbreaks. 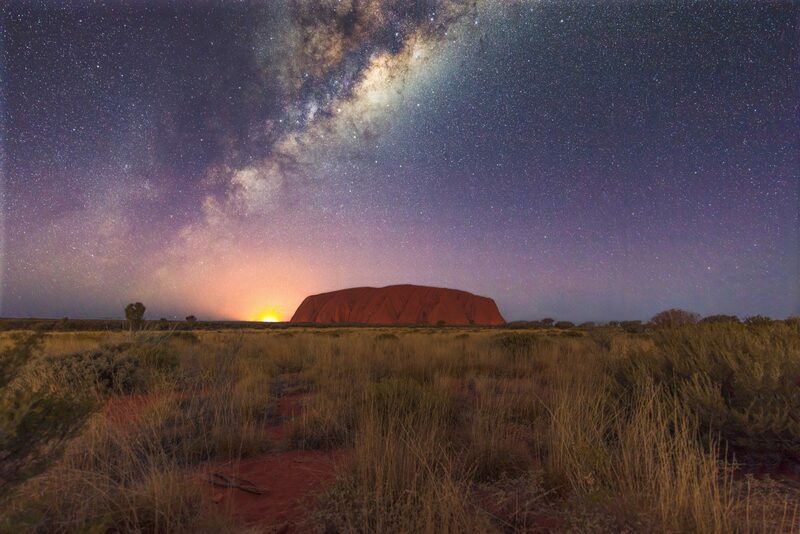 While fortunately, this fire was not catastrophic, it certainly added a unique terrestrial aura to the otherwise unearthly view of the Uluru with the Milky Way shining over.